Bluegreen Vacations Corporation (NYSE: BXG) (“Bluegreen Vacations” or the “Company”) announced today that David Pontius will be retiring as Executive Vice President and Chief Operating Officer in December 2018. Mr. Pontius has been with Bluegreen Vacations for over 11 years and has held several positions starting as President of Bluegreen’s Resorts Division in 2007, Chief Strategy Officer in 2010 and a promotion to Chief Operating Officer in 2017. Mr. Pontius currently serves on the Executive Committee and Board of Directors of the American Resort Development Association (ARDA). Mr. Pontius has been a pillar in the industry for almost 40 years serving in an executive capacity across all industry disciplines. His achievements include founding his own marketing company, managing a finance company and holding various leadership positions at companies such as RCI, Wyndham Vacation Ownership, Hilton Grand Vacation Club and Bluegreen. “Dave is an industry veteran and Bluegreen has benefited from his experience and leadership over the past eleven years. Bluegreen is a company known for strong relationships, unique product and impeccable service and Dave has made a strong contribution in all of these areas. Dave built a strong team of leaders in his areas who deliver outstanding service to our owners and guests. We expect that our high levels of service and performance will continue to be maintained by these strong leaders as we move forward with a more streamlined management team,” said Shawn B. Pearson, President and CEO of Bluegreen Vacations. 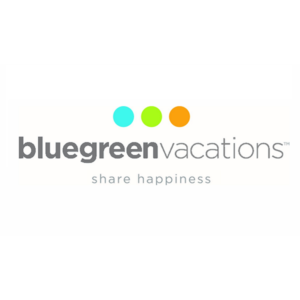 Bluegreen Vacations Corporation (NYSE: BXG) is a leading vacation ownership company that markets and sells vacation ownership interests (VOIs) and manages resorts in popular leisure and urban destinations. The Bluegreen Vacation Club is a flexible, points-based, deeded vacation ownership plan with approximately 216,000 owners, 69 Club and Club Associate Resorts and access to more than 11,100 other hotels and resorts through partnerships and exchange networks as of September 30, 2018. Bluegreen Vacations also offers a portfolio of comprehensive, fee-based resort management, financial, and sales and marketing services, to or on behalf of third parties. Bluegreen is 90% owned by BBX Capital Corporation (NYSE: BBX) (OTCQX: BBXTB), a diversified holding company. For further information, visit www.BluegreenVacations.com.